The art of competing in a modern industrial world is constantly changing, and constantly getting more difficult. Each year, companies give it their all and toss their eggs in a basket, hoping it will pan out for them and be the next big thing. Line6 sits at the table with the big guys when it comes to innovation and the forefront of effect technology, but just how well does their flagship unit, the POD HD PRO, stack up? This thing is sturdy, to say the least. It’s all metal construction gives a nice comfort to any of us who put our equipment through the paces, and expecting it to keep chugging along. The face of the unit has a nice tactile control system, reducing the menu-surfing to a much better level, and giving more direct control over things like drive, volume, and EQ. Other controls are a mic preamp, an XLR input for vocal effects, and a brightly lit LCD screen, displaying signal chain, effect options, and user presets. There isn’t much the HD PRO can’t handle as far as inputs and outputs in a guitar setting. The unit offers a standard guitar in and headphone jack out front, but turn the unit around, and now we’re really talking. In back, you are given the option of sending the dry signal out for later processing, connecting other mic preamps through the line input section, adding your own effects in the FX stereo loop, or using the HD PRO directly with your computer via a usb port. The HD PRO’s undeniable strength is its amp modeling. 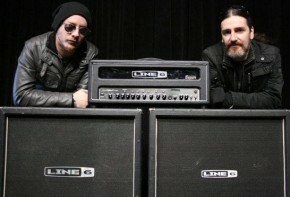 The vast array of amps and tones available is eye-popping, and the sounds that can be achieved are even better. From thick, crunchy tube drive, to airy, light acoustic tones, clearly there is quite a lot left to the imagination here, to play and create with as you please. This is where things get a bit cheeky. Once again, Line6 gets close to a climactic group of effects, but misses the mark on a few things. For starters, the idea of a visual effect chain right in front of you is revolutionary, and a great concept that can be utilized to the greatest extent, if one puts in the time to program and set everything up in advance. Even with a great display however, it seems that there are just way too many effect packed into one box, and to control and manipulate them all is no easy task, despite the more hands-on approach taken on the control system. As with the previous POD HD 300, 400, and 500 units, all of the effect sculpting is done through menus, and is accessed by 1 or 2 knobs. Furthermore, the more digital and processed effects are not very responsive to the player, and the guitar signal itself. With the more digital effects, the guitar acts as more of a midi guitar, with the effects not using the guitar’s signal at all, but rather listening to what notes you are playing, and producing a sound of its own based on the pitch. With these flaws though, there is still room to work with creating new tones, starting from scratch and making something all your own. I was a little put off by the rackmount idea; in as much as that it does not come with an included footswitch, although there are rear ports to accommodate one. Without a footswitch, the idea of playing out live with the HD PRO seems all but impossible. The HD PRO would probably fit in better in a studio setting, tone creating and shaping, and as the middle man in a recording project. 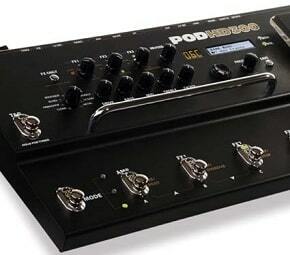 All in all, I would have to say the POD HD PRO is an effective piece of gear, but is better left to a studio setting, or small gigs, unless you have a footswitch to operate it with. The tones are phenomenal, and the effects are interesting, but the price seems a bit high at $699.99. 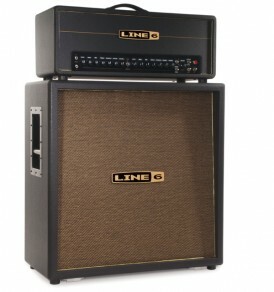 Overall, a good, reliable piece of gear that can open countless doors to the unknown of guitar tone. Over the past decade, I have always used some variation of POD for recording. It is by far, the easiest and fastest method of recording guitars. But when I’ve tried taking those sounds to the stage, they have sometimes fallen a bit short.